By Dulce Ruby / 27 June / Blog, Sponsored Post / 0 comm. A week into the Summer and it seems that even here in Canada (yes, you read that correctly!) the heat waves have finally arrived. As a born & raised desert gal, I for one am grateful. So what am I doing in Canada? I’ve moved here! Lots to catch up on and promise to make my next post a full one filled with all the juicy details, but for now – let’s talk about what I am currently working on, where our focus should be as we transition through the seasons and what my latest finding in making life a little easier is! As I venture through the realms of creativity and imagination, I’ve also found myself fully submerged in my inner child and true being & essence. I had missed the way my pen ink flows across the pages of my journals, the freeflow typing, and never-ending sketches.. so I decided to embrace it – I’m an artist. With that, it’s great to be back in my purpose, path, and flow. Though Soul Traveler is an incredible platform that will be growing in the next few months to be more than it is (think: conscious travel & wellness with a dash of magic), I’ve come to terms with a project I’d left in the filing cabinets years ago. I’d been aching to create a platform of portals where every part of my creations could live & thrive, so I’ve decided to rebirth The Dreamscape. In the next coming weeks, I will be revealing bits and should be able to launch mid-July! It will be a place where magic & manifestations are the norm and tools are easily accessible to all who wish to dive deeper into Self. As we move through the seasons and journey around the Sun, the year is half-way through as well! It is time to reflect on and revisit both our New Year resolutions as well as our present state of being. Where have you grown, what have you realized & released, and are you proud of the steps you are taking towards personal & spiritual goals? This time of the year is crucial as it acts as our marker for reassessment and motivation. If you are feeling a bit behind on your goals but have been giving your all – know that it is not about reaching your destination as much as it is the journey and your presence on the way. Breathe and know that all you are aiming to achieve will continue to reveal itself to you so long as it is in alignment with your highest purpose. Take a moment today to really hone in where your intentions lie. Journal and meditate on what the rest of this year looks like for you and watch it manifest! As someone who dreads shopping, but is consistently needing new gear throughout her travels (things get lost, ripped, worn out to the last step as I journey on), I was stoked to see there was now a subscription box that matched my actual human desires as well as ethical stance. 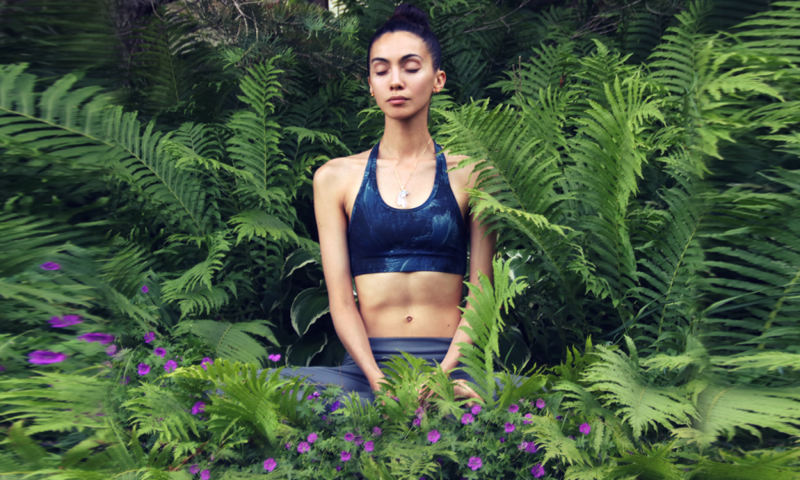 YogaClub is basically the ideal situation – want your own personal workout stylist to curate cute and unique outfits for you (at a discount) and deliver them right to your door? Sounds like a dream come true (again, if I never had to go to a mall again I’d be a happy gal).. and the best part? As a member, you’ll keep making an impact with every box you receive. Spotlight on their social effort: One Box, One Class – where every box delivered donates a yoga and meditation class to a child in need. To date, they have had over 215,628 yoga classes donated! Your contribution makes a huge difference in the lives of children! How does this work? YogaClub has partnered with LA’s BEST, a registered 501(c)3 non-profit, to teach yoga and meditation to elementary school children in their after-school enrichment programs in some of Los Angeles’ most vulnerable neighborhoods. Therefore, every YogaClub box you receive will provide one more yoga class to an inspirational child in need! Honestly, if there is a way to really help others while being a consumer – I’m IN! And on the plus side, the value of the outfit I received (pictured above!) was incredible and what I would have paid outside of the subscription box (aka ‘retail value’) would have been far beyond the box rate (another win!). Reflection: As our world fills with wants, needs & desires – it is important to be a conscious consumer and purchase what you wish with others in mind… whether it’s those who you are supporting or those you can support through your purchase. If you’d like to give YogaClub a try, I have a discount code for all of you in my tribe reading this. please note: in order to help support this site, I participate in collaborative sponsored posts. I work closely with my brand partners, much like YogaClub in this post, to develop relationships and am very selective and only post about things that I genuinely like, support and highly recommend to my readers. all sponsored posts are clearly stated as such.